The purpose for indexing your earnings is to reflect the change in wage levels that occurred during your working years. This ensures that your benefits will reflect the rise in the standard of living that occurred during your working lifetime. Out of your entire earnings from age 22 to 62, your highest 35 years of indexed earnings are used in the AIME computation. If you work and are age 25 or above, you can find your specific earnings in the social security statement that is mailed to you annually. Indexing your earnings depends on the year in which you are first eligible to receive retirement benefits, which is age 62. So if you reach age 62 in 2011, then that is your year of eligibility. However, your earnings are always indexed to the average wage index two years before your year of eligibility, or when you reach age 60. So if you reach age 62 in 2011, then earnings from your prior working years would be indexed to the average wage index for 2009, which is 40,711.61. You can find the wage index for a specific year here. Following this example of a worker whose earnings are indexed to the wage index for 2009, earnings in each year before 2009 would be indexed by multiplying the earnings for that prior year by the indexing factor for that prior year. The indexing factor for a prior year is determined by dividing the wage index for the year the person reaches age 60 by the wage index for that prior year. In our example, the person reaches age 60 in 2009. So if you want to determine the indexing factor for 1980, you would divide 40,711.61 (the index for 2009) by 12,513.46 (the index for 1980), and get an index factor of 3.2534. So if you made $12,000 in 1980, you would multiply this amount by 3.2534 to get and indexed amount of $39,041. Earnings in the year you reach age 60 and later would not be indexed, but rather are taken at face value. Once each year’s earnings from age 22 to 62 are indexed, your highest 35 years of indexed earnings are added up. This sum is then divided by 420 to determine your average monthly amount of such earnings. This is your AIME. 15% of your AIME over $4,586. 0.9(761) + 0.32(4,586 – 761) + 0.15(5,521 – 4,586) = 2,049.15, which is rounded down to $2,049.10. 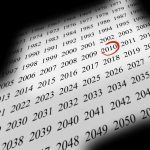 If you reached age 62 before 2011, the bend points for earlier years can be found here. These benefits that can be used on any medigap policy and were never meant to provide full financial support upon retirement. The result of these bend points is that lower wage earners receive a larger percentage of their preretirement income, while higher wage earners receive a lower percentage of their preretirement income. Once your PIA is calculated, you now have the basis of determining your estimated monthly benefit amount. This amount, however, also depends on the actual age that you retire. The earliest that you can retire and receive benefits is age 62. But the downside to early retirement is that your benefits are reduced for each month that you retire before your normal retirement age. If you were to retire early, your benefit would be reduced by 0.555% for each month before normal retirement age, up to 36 months. If the number of months exceeds 36, then the benefit is further reduced by 0.416% per month for each month thereafter. This result is then rounded down to the next dollar to arrive at your reduced monthly benefit. So if your normal retirement age is 67, and you retire at 63, you’d be retiring 48 months early. Your benefit reduction is calculated as 36 months multiplied by 0.555%, plus 12 months multiplied by 0.416%. Therefore, your monthly benefit would be reduced by 25%, and you’d only receive 75% of your PIA. If your PIA were $1,983.10, your reduced benefit would be $1,487.33, which is then rounded down to $1,487. On the other hand, for most of us reading this, if you were to delay retirement beyond your normal retirement age, you’d receive an increase in your PIA of 0.666% per month of delayed retirement, or 8% a year. 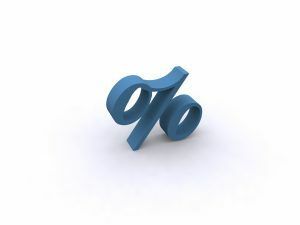 The specific percentage of your increase, which is based on your year of birth, can be found here. So these are the steps to calculate social security benefits. First photo by 401K 2012. To learn more about social security and all the ways it affects you check these great articles out. If you enjoyed this posting please leave us a comment or share it social media!